I like unique things! Something that is different, stands out, and can carry itself without any necessary accoutrement's! I love bright sweaters, and you will almost always find me with a bracelet or two on my arm! Henri Lou adorns my arm and it is a perfect statement bracelet! Inspired by a trip to a saddle shop in California, native Texan Reagan Rowland, who now is a sunny Cali girl, meticulously and proudly designs all of her pieces in Los Angeles. Using a variety of stones, chain, and leathers, in a wide range of colors, you are sure to find the perfect piece of jewelry. You will find her designs adorning the likes of such celebrities as Terry Hatcher, and Julia Roberts. 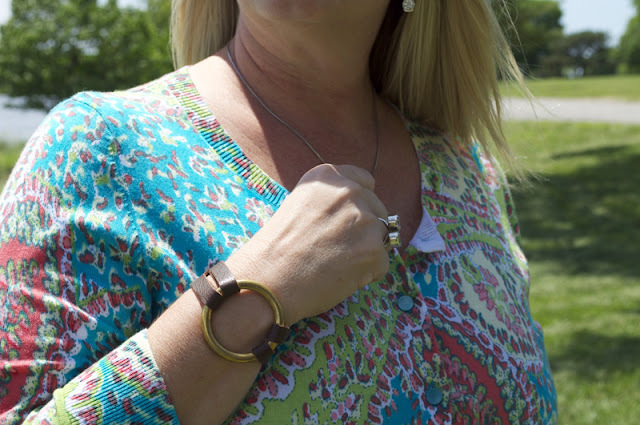 Edgy, Boho chic, and timeless are just some of the features I love about Henri Lou Jewelry. 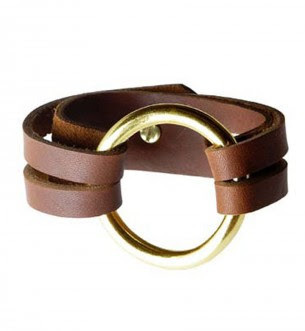 She has even added to her line handbags, and the most adorable rings. My favorite is the red leather and heart! It is not difficult to spot Henri Lou styles. They can be found in boutiques all over the world including Fred Segal and Neiman Marcus, and you can order right from her website too! But today, you can enter to win one right here! I know you will love it! Follow the instruction in the rafflecopter form, and good luck! Don't forget to spread the word to your friends so they can have a chance to win. We wouldn't want our friends to not be styling now would we!!!!!? Loving both green bracelets...thanks for the chance to win! I'm like the Black or Brown. Thank you. I love the bracelet in purple and brass! I have a necklace and earring set that goes perfectly with it! I love the brown/brass and navy/brass because you can wear them with everything!